Are you looking for a facility that will offer you cheap hotel rate? Are you on a tight budget? If that is what it is, you need something that matches your demands. 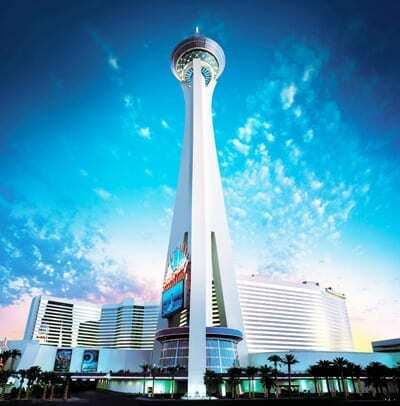 Stratosphere Las Vegas is the option. Although the glory is not as it is in the past, there is good news. Already, you know that you can get a room here at a pocket-friendly price. There is no bad thing with the rooms. The rooms are nice. I’m sure you will love them. The truth is that the prices of the rooms are insanely low. But if you are the person who wants the Vegas vibe, I’m sorry. The interiors are not as amusing as others on the Strip. But some things can counter any setbacks. When you enter the main casino area, you will feel it. The whole place is dimly lit. The purple, green and red colors plus the sparkling slot machines make the hall amazing. As you move around, you will realize that things are different. You will see more pleasant things as you move throughout the hotel. The place is full of tourists, diners, and thrill seekers. Many of the people who visit this hotel are travelers. They are seeking to get the ideal services as they save. · 2000 Las Vegas, Blvd South Las Vegas, Nevada 89104-2507, USA. · Telephone number: (702) 380-7777. · Red Rock Canyon National Conservation Area. Further down, a bit far from the hotel are Lake Mead and The Hoover Dam. Although the rooms are not the best, there is something you’ll like. Each room has a king or a queen size bed! Above all, this is not what you find in many hotels in the Strip. They come with air conditions, flat TVs on the walls and a free Wi-Fi. There is one particular room that will give you a complete view of the city. The name of the room is The City Mountain View Room. Inside the room, things are not any good. But it is the only ideal place to have a perfect view outside. Again, the rooms are not modern or anywhere close. But the good thing is they are super clean. They will give you the morale to stay a while longer. The scent suggesting a decent area is everywhere as you approach the room. There is more. You cannot witness smoke at Stratosphere Las Vegas. As you all know, it is a norm with more essential facilities.